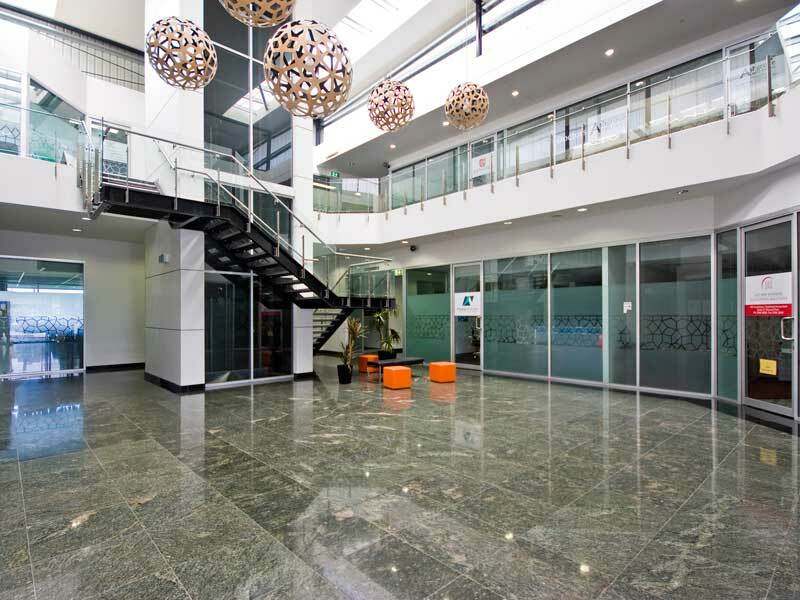 Ashgrove Serviced Offices is located on the first floor of the Highpoint building at 240 Waterworks Road, in the heart of Ashgrove’s commercial and retail centre. For details regarding facilities within Ashgrove Serviced Offices itself, click on the images immediately below; or continue reading for more general information about the Highpoint centre. A large number of parking bays are provided on site for free customer parking, although use of these bays is limited to two hours (for bays in the basement) and one hour (for bays in front of the building). There is also free street parking available in the side streets behind the building (Trout St, Beth Eden Terrace). 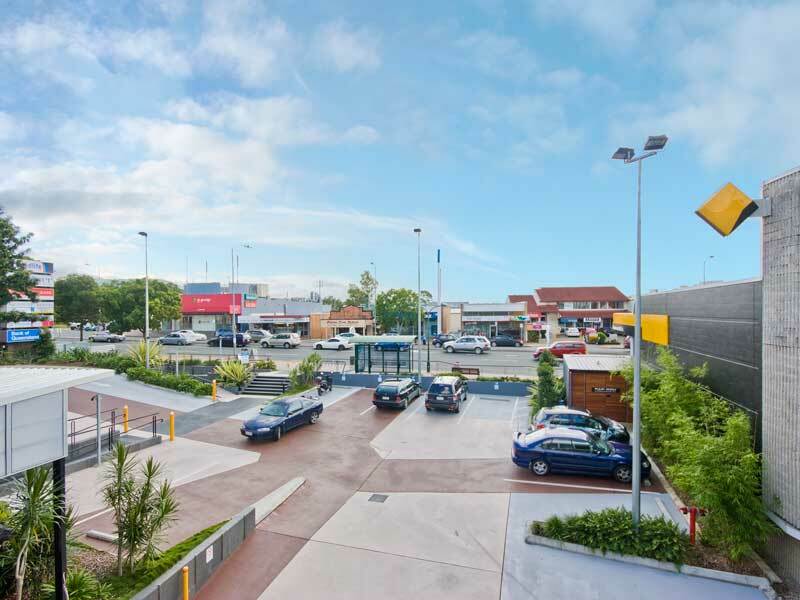 Tenants of Ashgrove Serviced Offices have the option to hire dedicated, secured parking bays, available in both the lower basement and on the rooftop of the building. For our boardroom and meeting room clients who are going to be on-site for more than two hours, we can usually provide access to longer-duration parking bays as well. The Highpoint building enables good access for visitors who may be mobility-impaired. Lift access is available at basement parking, Ground Floor and Level 1 (where Ashgrove Serviced Offices is located); disability parking bays are located adjacent to the lift in the basement. Accessible toilets are also available in the centre. Access from Waterworks Road to the Ground Floor level of the building is enabled via a ramp in front of the cafe. Toilets are located at the south-western corner of the building on both the Ground Floor and Level 1. Please note that a swipecard is required to access the toilets, a swipecard can be obtained from our receptionists at Ashgrove Serviced Offices. A separate shower and toilet block is also located in the secured lower basement parking area, typically for the use of tenants who may run or cycle into the centre. 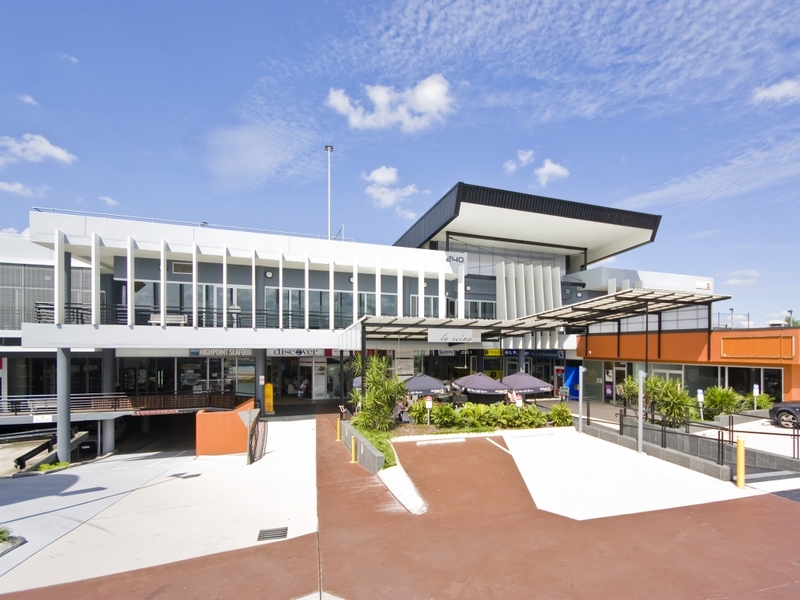 Ashgrove Serviced Offices is one of the longest standing businesses based at Highpoint, occupying much of the front portion of the building on Level 1. Prominently located at the front of the building on the Ground Floor is the Highpoint Espresso cafe. 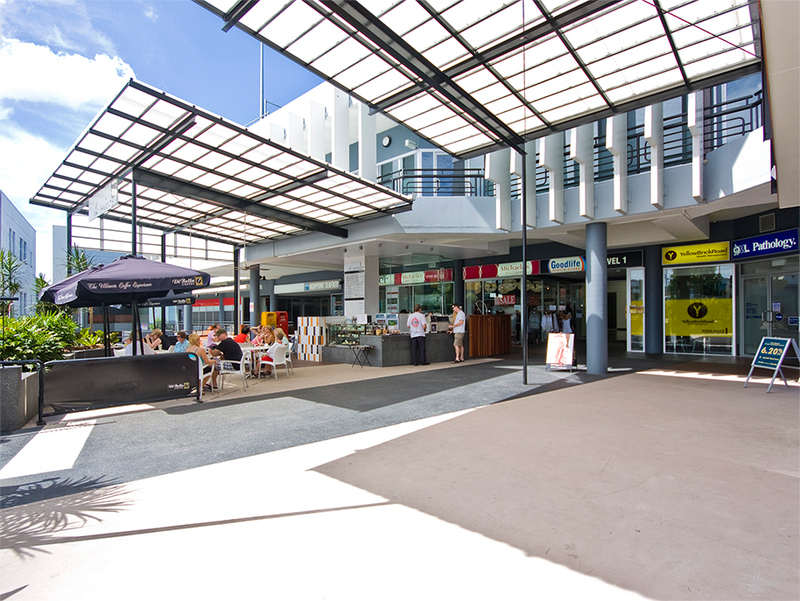 In more recent times, the focus of many of the other tenancies at Highpoint is in the health and wellness space, with tenants such as Goodlife Gym, Metro Radiology, Ashgrove Family Practice, Revive Physiotherapy, Health & Hearing, Brazilian Beauty, Hypoxi Studio, Advance Foot Clinic, Plume Holistic Skin Therapies, Vitalita Detox & Wellness and Allied Health Professionals. Other businesses in the centre include financial, banking and legal service providers such as Bank of Queensland, Blake Topping Solicitors, Redgum Financial, TLPC Property Consulting, and Wiggins Finance Accounting Advisory.